Music is not my forte. It never has been, and most of my family is the same way. I should say that creating music is not in my list of appreciable skills and it doesn't run in the family. I enjoy listening, but it is a foreign country I have only seen on a map. Math is my cup of tea, and music is math so it stands to reason that I can make an amateur step toward music creation. 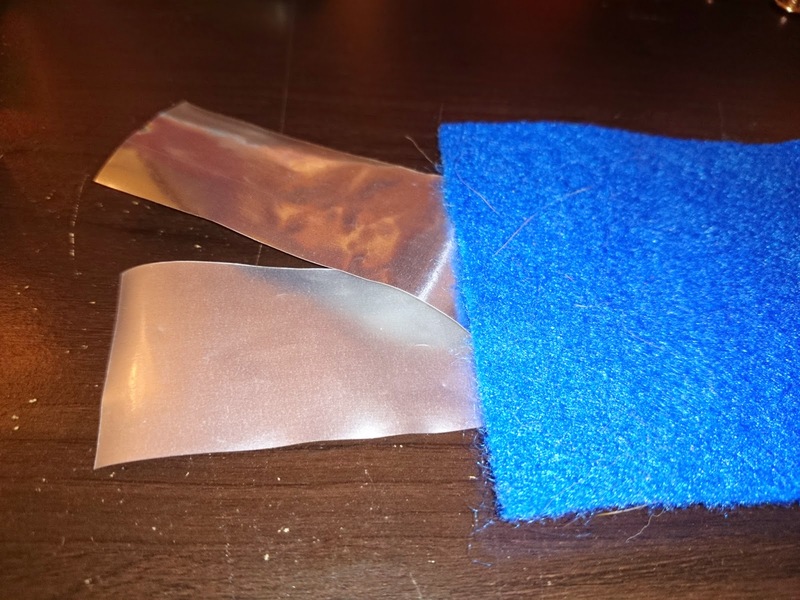 The name of this project is "Electronic Wind Chimes EWC" because wind chimes can make sweet sounds, but they are not music, even if they play tuned notes. I want to capitalize on that randomness and guide it a bit with some mathematical trickery. 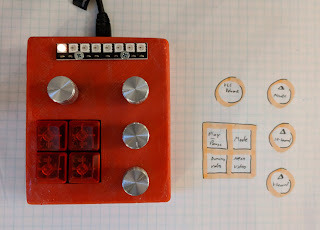 The goal will be to learn about what makes music good or bad by building and programming a MIDI sequencer from scratch. It will have an emphasis on pseudo-random, prandom, note generation which is not seen in sequencers which are made to faithfully reproduce a sequence. An Arduino Pro Mini was selected as the board for this project since many were already stocked and they were readily available and inexpensive. The controllers did not support MIDI over USB but cheap converters were available which were highly compatible, so it seemed an acceptable compromise. Since the goal was to learn about music composition, there would be adjustable inputs which would immediately result in a change of the signals being generated. The hypothesis was that being able to scroll and fade through parameters one at a time, would lead to an intrinsic understanding of how they all interplay. 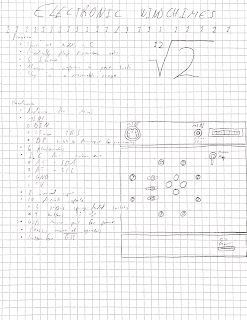 A list of the hardware and revisions was sketched on paper. 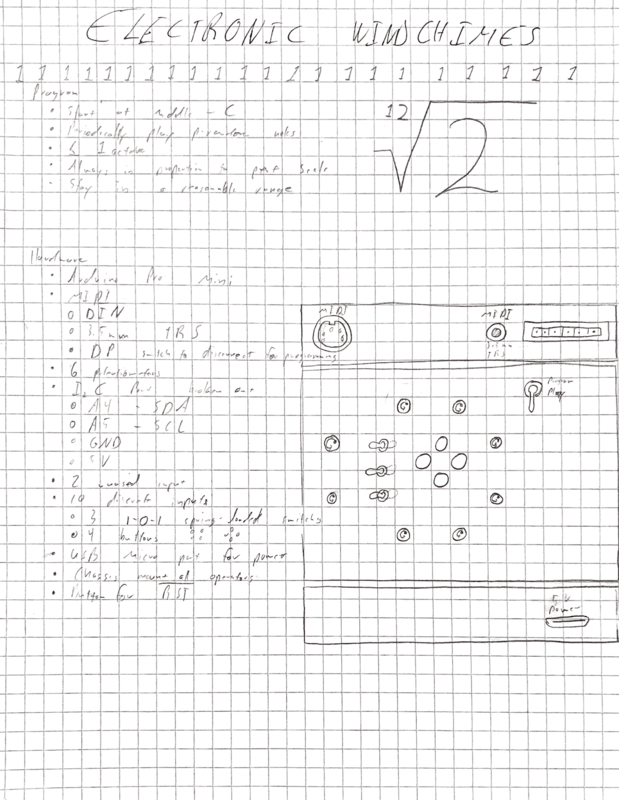 There would be switches, buttons, and potentiometers. The sound would be generated by a basic MIDI sound module so only the math of the MIDI protocol would be in the scope of this project.